PLEASE READ THIS - OTHERWISE YOU COULD LOSE MONEY. Is anyone else having problems redeeming TDGCs from TCB? I converted my TCB balance to a TDGC for over £60 on 18 October to take advantage of the bonus. I used a TDGC of lower value earlier in the year and redeemed it without a hitch. But this time it has been a nightmare. Firstly, I spent an hour assembling an order online on the Tesco website. I wanted groceries and to take advantage of Tesco's 25% off 6 bottles of wine offer. At the checkout the TDGC came up INVALID. I 'phoned Tesco to learn that TDGC's are not accepted online. (Mystified by this - but accepted). I went to my nearest Tesco store (first visit) - a twelve mile round trip. I spent nearly an hour going through my shopping list AGAIN. At the checkout I loaded my shopping into my bags and handed over my TDGC - it came up INVALID. The checkout operator keyed in the code - INVALID. The checkout operator called over the Supervisor, she took the TDGC to Customer Services and returned later to report that it was INVALID. So, in front of waiting customers I was faced with the humiliating task of emptying my shopping back into the trolley. On my return home I raised a Support Ticket on the TDGC website. The response was quick but to cut a long story short, it just claimed that it should have worked, and if the bar-code does not scan the code can be keyed in (wrong!) and if that doesn't work they can call the 'phone number on the TDGC to get manual authorisation (wrong!). (I 'phoned Tesco Customer Services and I learned that the facility to key in the code has been disabled due to fraud AND manual authorisation cannot be given - so if the bar-code does not scan - TOUGH!!! They also stated they had received other complaints about TDGCs from TCB and also that TCB had been changing the bar-code format. I returned to Tesco the next day (second visit) and firstly went to Customer Services to check the TDGC - INVALID. Returned home and raised another Support Ticket with TCB requesting that the TDGC be converted back to cash or to an Amazon eCard. Received a response same day informing me that the TDGC could NOT be converted back and also claiming that there had been a problem with the printed bar-coding. They also suggested that I re-download and re-print the TDGC. This I did and immediately noticed that the new bar-code and the old bar-code were totally different. Full of hope, and thinking 'third time lucky' I returned to my Tesco store (third visit) and again went to Customer Services to check the TDGC. I returned home and have raised another support ticket and am currently waiting for a response. This is a TCB problem NOT Tesco. Trying to redeem this TDGC has cost me more money than the bonus is worth not to mention HOURS of wasted time and effort. I am not going as far as to claim FRAUD (yet) - but I wait to see how TCB resolve the problem. Hrm, that's really worrisome and something to think about when it comes time for my next payout from TopCashBack...thanks for letting us know, I for one will appreciate any updates!! I received a message from TCB earlier in the week advising me that the problem with their TDGC had been fixed. I visited the Customer Services desk at my Tesco on Friday to check and this time it DOES scan – hooray – FIFTH time lucky. I suppose now I will just have to wait for the next 25% off wine promotion. In a previous post I mentioned that this is a TCB problem not Tesco. However, I was appalled at the response from Tesco too, since the £60+ had already been transferred to Tesco coffers, it would have been so easy for Tesco to resolve the situation by cancelling the TDGC and issuing coupons like they apparently did for Quidco. But then of course, had TCB not resolved the problem, that £60+ would have remained with Tesco, so it is understandable why Tesco refused to help. I understand that Tesco is experiencing difficulties (Tesco Direct has closed, Tesco ‘Wine by the Case’ has closed) but I didn’t think Tesco would stoop this low. Needless to say, in future, I will not be using Gift Cards, Ecards or coupons – digital or otherwise – from now on it will be cash only. I hope this has been useful to fellow TCB members. Ah.. So TCB had an issue with their tesco gift cards and have now fixed it and you've confirmed it works. Another cashback giveaway has begun today so best of luck on winning one of the 54,000 instant cash prizes. For anyone interested, I will be posting the answers to the daily clues on my cashback page. Or you can sign up to TopCashback via my referral link: https://www.topcashback.co.uk/ref/dannyatb9 and get £5 for free once you have reached the £10 payable cashback threshold. 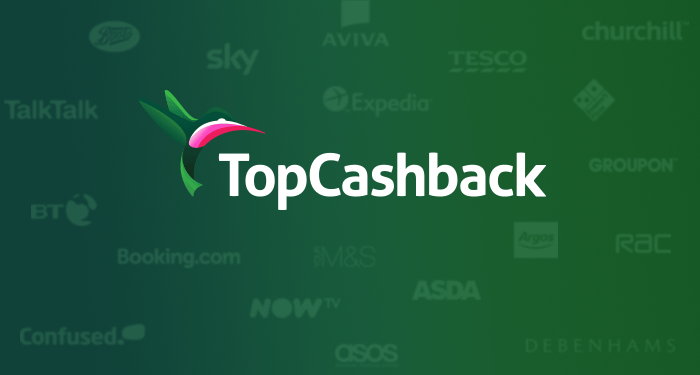 Top Cashback currently offering a free £5 Virtual prepaid mastercard to new members signing up though the tell a friend programme and reaching £10 of cashback. If you're not already a member it is well worth joining for cashback on your online spending, especially if you are matched betting and doing casino offers as several bookmakers and casinos have cashback offers on there of £10 or more. Another Treasure hunt and I've already won a prize! All the clues and answers to the TopCashBack Easter Treats Giveaway. Check back here for any answers you don't have and any bonus we've found. Prize draw entry for me. Business as usual. I'm being kept awake at the moment so I was first for the first time in a while!